This year we are going to have a look into the main English-speaking countries and cultures. So we are starting with a look at the USA. 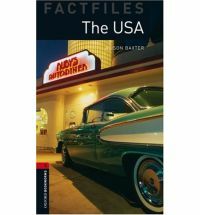 To have a starting point, we are reading this Oxford Fact File which is an introduction to the USA. Write a dossier with the exercises at the end of the book. Dossier: first class after The USA week in December. Test: first class after The USA week in December.